Update: Engineers at Google fixed the issue. Thank you. After initial setup of SDL2 application for Android, I decided to add one activity before launching SDL. So I created the new MainActivity which should launch SDLActivity after a tap on the button. This time Gradle Experimental Plugin gave me a very fancy error: Cannot invoke method dependencies() on null object. As always the error message does not provide too many hints how to solve the issue. Little bit weird code for dependencies. The solution was just to add a new line. The whole project is available at github.com/georgik/sdl2-android-example project. 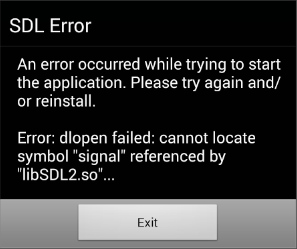 More articles about SDL2 for Android are available under tag sdl2. 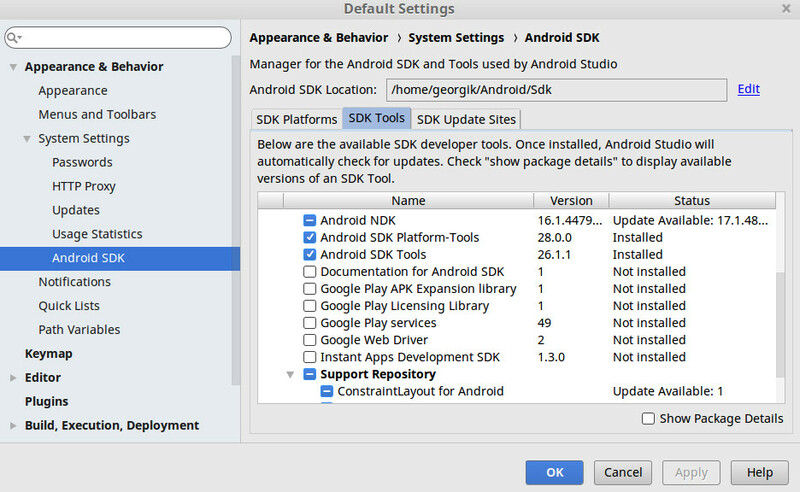 Gradle Android Experimental Plugin works without problem with Android Studio and it is the recommended approach use it when starting a new project with NDK. It’s very easy to get started, but there are some traps. Let’s explore common mistake when writing Gradle build script for Android with NDK. In case of an application which is based on C libraries, the goal is clear. Build libraries and then link everything into the final project. The tricky part is the definition of dependencies. The definition for the main and for libraries is different. If you use the same style of definition you may run into error like: Android Studio is not able to import the project, because of missing .so file. If you look close enough, you’ll see that the first part of the file contains a definition of PrebuiltLibraries. These libraries are referencing directly the .so file. In the section dependencies, you can find reference to the declared dependencies. Gradle will just build the app and it will grab all referenced .so files and put them into a final application. That is correct for the main module. When you’re writing build files for libraries, you should take a different approach. Here you can see that there is no definition of PrebuiltLibraries, but the sources contain dependencies on projects of other libraries. In addition to that, there is exportedHeaders declaration which will tell the compiler where to find .h files. That is because you do not need any reference to .so dependencies when building .so library. You need just headers. The different is very small in the dependencies section. It can simplify your build process if you use it correctly. You can fix either build files or you can build missing libraries one by one. The correct version of build files is available in sdl2-android-example project. 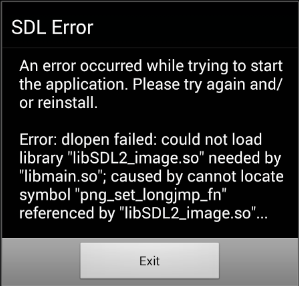 SDL2 example application works without problem with newer Androids API 21+. The problem was with API level 19. It took me some time to figure out reasons for very interesting errors. Let’s examine error messages and investigate how to fix them. The root cause is not that obvious from the error message. It failed because the application has been built for API 21 instead of API 19. The fixture is easy, just set sdkVersion to 19. For this purpose, I’ve extracted sdkVersion to settings.gradle which can be found in the root directory of the project. Make complete clean and distributeLib to rebuild for proper API. Hooray! Fixed. Let’s start the application. The root cause of this issue is similar to the problem with JPEG described in the previous article. Paul Asiimwe found out that there is another library the name png and it has a different version so the application crashes. 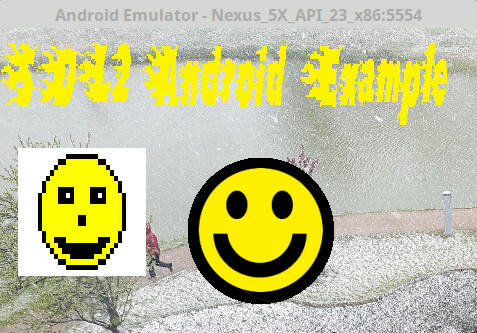 After these small tricks, the sdl2-android-example works even with API level 19.